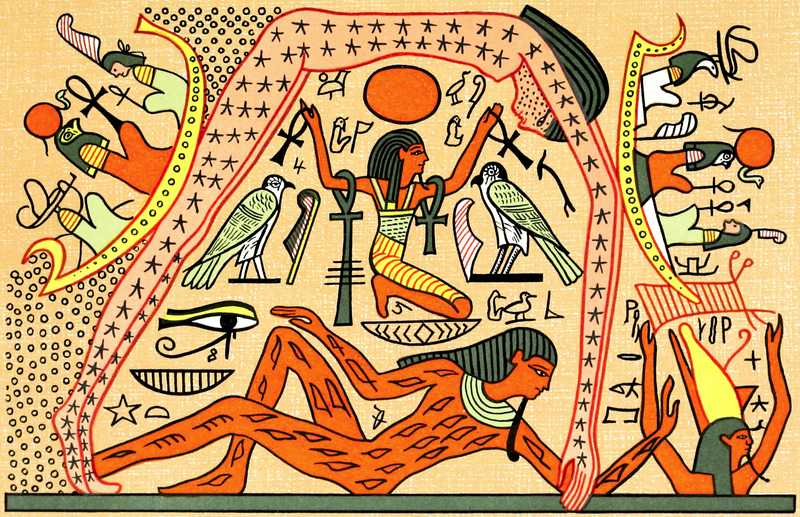 The god of the earth, the earth formed his body and was called the house of Geb. Depicted lying by the feet of Shu, the air god, with Nut, the goddess of the sky, arched above them. Husband of Nut, his sister, the second generation in the Ennead of Heliopolis. The goose was a sacred animal to Geb, it was said that Geb's laughter was the source of earthquakes.